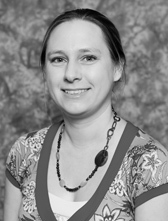 Amy Pate is the Research Director at START. She earned a Ph.D. in Government and Politics (Comparative Politics and International Relations) from the University of Maryland in 2007. Prior to joining START as a researcher in 2011, Pate was research director (2007-2011) and project coordinator (2003-2005, 2006-2007) of the Minorities at Risk Project, based in the Center for International Development and Conflict Management at the University of Maryland. Pate is a specialist in international relations and comparative politics, with particular foci on ethnic politics, democratization, political instability, terrorism, transnational organized crime, and counterinsurgency/counterterrorism. Recent projects have included: research on the crime-terror nexus; an examination of the rise of Islamist political parties in Muslim-majority countries; and tracking of protest behavior and political instability in Jordan. Previous research projects include: research on sources of instability in South Asia, including research on counterterrorism and counterinsurgency efforts and the role of organized crime in promoting instability in the region; case studies on counterterrorism and counterinsurgency efforts in Chechnya; research on the use of violence by extremist political organizations in the Middle East and North Africa, including a quantitative study of the tactical choices of militant ethnopolitical organizations in the Middle East and North Africa; a field-based conflict assessment of election-related instability in Côte d’Ivoire; a field-based conflict assessment of settler-indigene conflict in Jos, Nigeria; articles on democratization, state stability and minority rights; country profiles (Cambodia, Colombia, Kenya, Laos, Liberia, Malaysia, Mali, Pakistan, Tajikistan, Zambia, Zimbabwe) on sources of political instability and fragility; and a large-N quantitative study on the determinants of ethnic rebellion in democratizing countries. She earned an M.A. in Government and Politics from the University of Maryland in 2005 and her B.A. in Political Science, History, and Russian from Miami University (Ohio) in 1998.